I just came back from my 9-day trip in New Zealand and it was awesome! Though this vacation was short, this was the longest trip I had this year. It was a battle between going back to Europe for the fourth time or going Oceania for something different. We took the latter option and New Zealand didn’t disappoint. For friends and family asking if I was in NZ for #TheWanForAnne, no I wasn’t there for Erwan Heussaff and Anne Curtis’ wedding (how I wish! Lol). Kidding aside, going to New Zealand was a long journey. It took us three plane rides (Manila – Bangkok – Auckland – Queenstown) and more than 24 hours of travel time to finally get to Queenstown. We left Manila at 1:00 PM on November 2 and arrived in Queenstown at 7:40 PM on November 3. The sun was just about to set when we landed and it was one of the most beautiful airport locations I’ve been to, probably one of the best in the world. 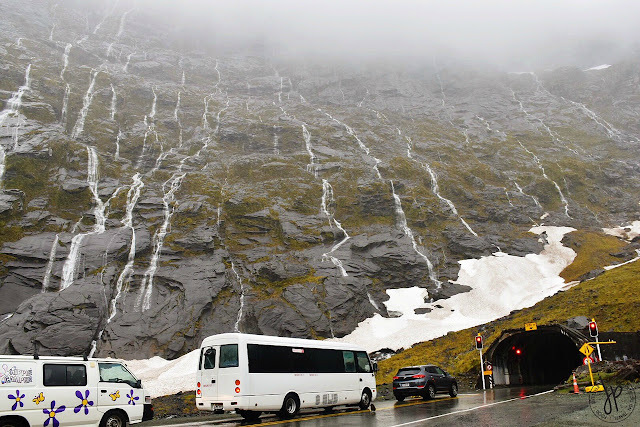 Queenstown Airport is surrounded by vast, snow-capped mountain ranges all year round. Yes, it was spring when we arrived, but the weather was full-on winter! 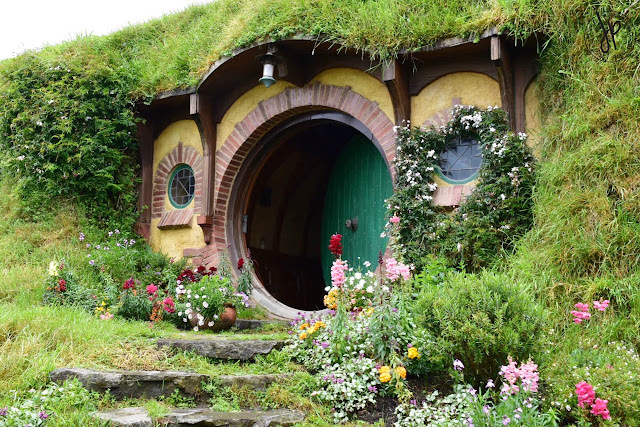 New Zealand is known for its nature attractions and preserved natural resources so if you’re the outdoor type of person, this country is your perfect haven. Lush greens and forests, towering peaks, gushing waterfalls, and still lakes – there’s always a nature trip endeavor for every adventure-seeker. 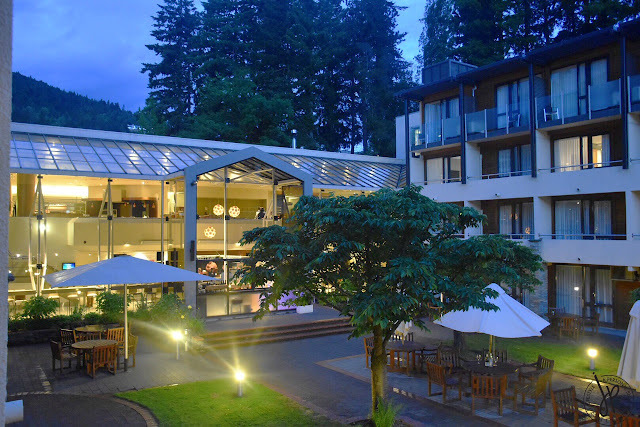 We arrived at Novotel Queenstown Lakeside before 8:30 PM, which is at the downtown area and beside Lake Wakatipu. After half an hour of rest, we walked outside to find food. Though most establishments were already closed after 9:00 PM, we’re still able to grab some water and snacks at Night ‘n Day 24-hour Convenience Store and the highly-raved hamburger restaurant Fergburger. Even at 10:00 PM, customers still flock this restaurant and we were lucky enough to get our orders in 10 minutes. My sister and I shared an order of The Fergburger, which is made with Prime New Zealand beef, lettuce, tomato, red onion, aioli, and tomato relish, and two orders of fries. We didn’t finish the fries because one order was enough for two people (size of a large fries in McDonald’s Philippines), but we devoured the burger in no time. 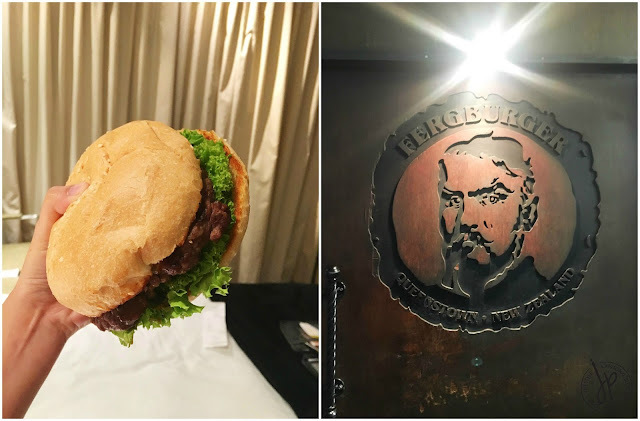 The reception staff at the hotel wasn’t kidding when she recommended us getting food at Fergburger – it was that good! We started early in the morning at 7:00 AM to go to Milford Sound, which is about a 4.5 hour drive from Queenstown. The drive going to Milford Sound was scenic and it was hard to tear my eyes away from the snow-capped mountains, lakes, waterfalls, glacier valleys, camping sites with stunning views, sheep farms, cows, and so much vegetation. Upon getting to Milford Sound, we hopped on a boat for a 2.5 hour cruise on the fiord, which is naturally made through glacial erosion. 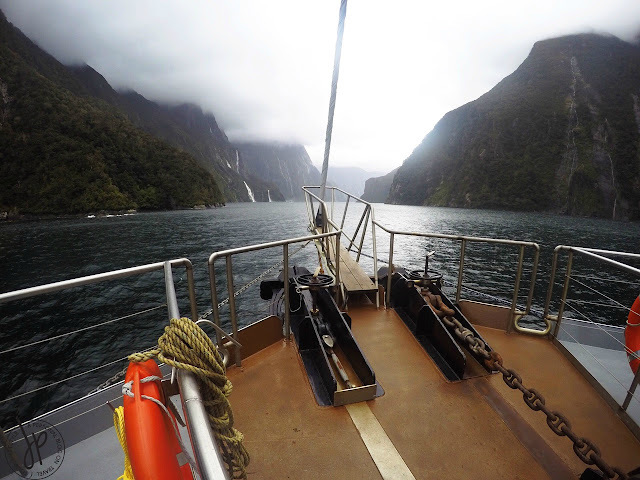 We traveled through the expanse of Milford Sound fiord into the open ocean on a rainy day and the weather was perfect, as numerous waterfalls only appear during rainy and stormy days. The wind also played a vital factor during the cruise, for the onward trip looked like a scene from The Pirates of the Caribbean. We woke up early for our trip to Dart River. Unfortunately upon getting into the jump off point in Glenorchy, the tour was cancelled because of bad weather. 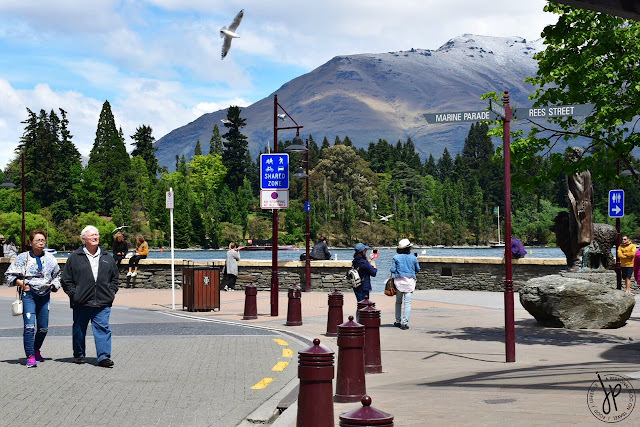 We had to go back by bus to Queenstown, which fortunately, was only a 45-minute drive. 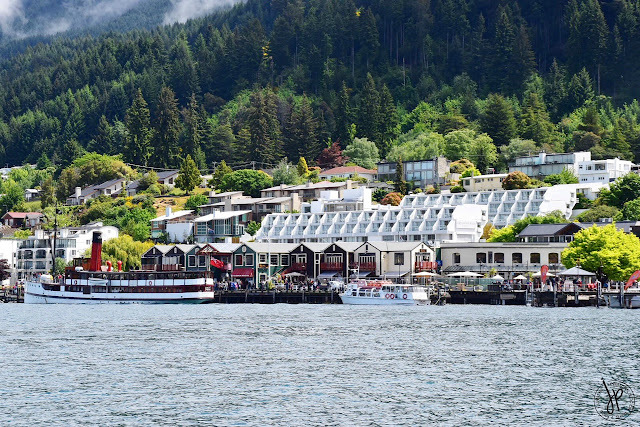 We asked to reschedule our Dart River tour the following day. At downtown Queenstown, we decided to have our first round of chocolates and Kiwi food shopping at Four Square Supermarket. There’s also a nearby Asian grocery store where we bought the famous Samyang spicy noodles. By lunchtime, we headed to Queenstown Mall’s food court and grabbed enormous sushis for our rice fix. We took a long nap at the hotel and by late afternoon, the sun was high up and people went out to the downtown again. The skies cleared and we were welcomed with gorgeous snow-capped mountain peaks as background of Lake Wakatipu. We ended the night at a Korean restaurant for dinner. Finally the skies cleared despite the chilly weather! We arrived at the Dart River Visitor Centre in Glenorchy and wore protective rain gear and life jacket for our Wilderness Jet adventure. 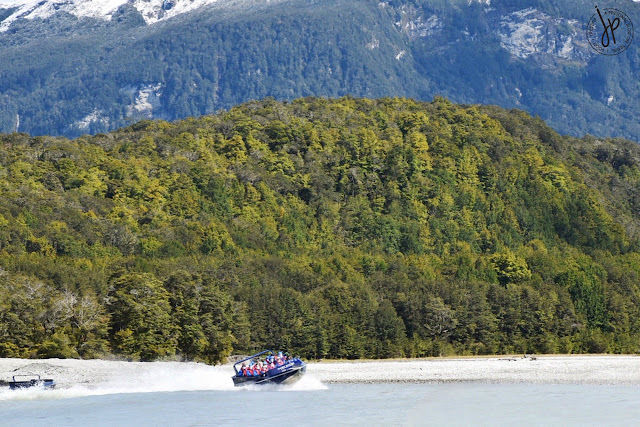 We boarded a high-speed jet boat for more than an hour into New Zealand’s Mount Aspiring National Park located at NZ’s South Island. The scenic journey pictures tall mountains and river valleys, as well as the location for Isengard in Lord of the Rings. Aside from legends and commentary from our jet boat driver and tour guide, I also enjoyed the thrilling spins of our jet boat! 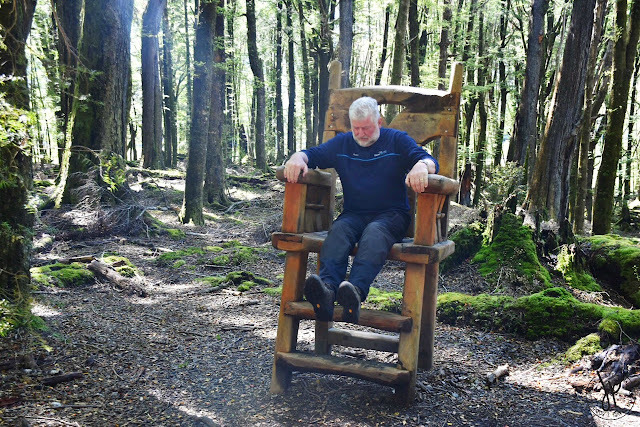 After speeding the Dart River, we walked through the forest for our Middle Earth experience. We also visited filming sites for The Hobbit, Lord of the Rings, Narnia, and Wolverine. Sadly, it was our last day in Queenstown and the time there was too short so we made sure to walk around town as much as we can. 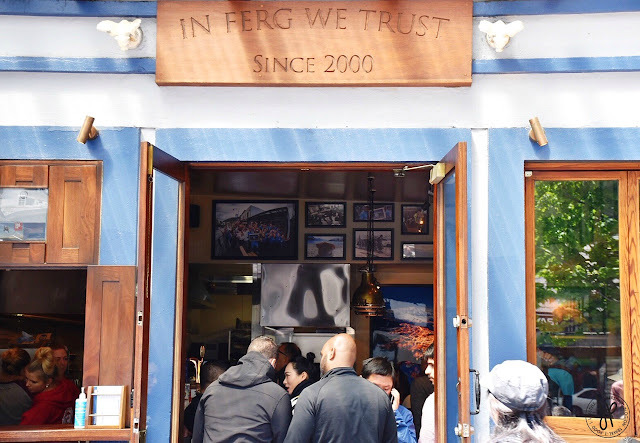 Of course, we’re not leaving Queenstown without getting our final bite of Fergburger. Grabbing burgers for late lunch (at 2:00 PM!) took 45 minutes before our takeaways were ready. We didn’t want to leave Queenstown, but we have to fly to Auckland for the next leg of our NZ trip. 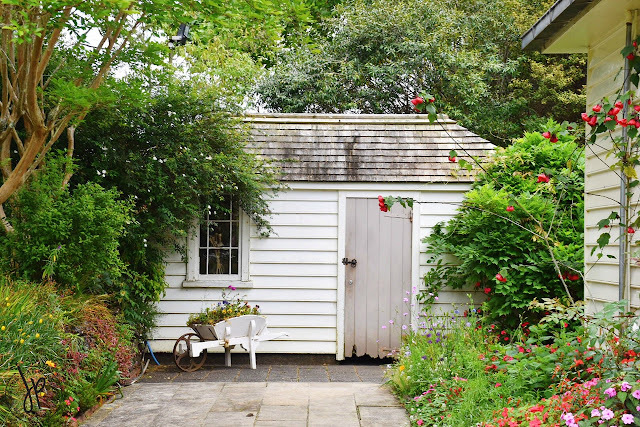 Because Auckland is an urban area, the place was a complete opposite of nature-clad Queenstown. 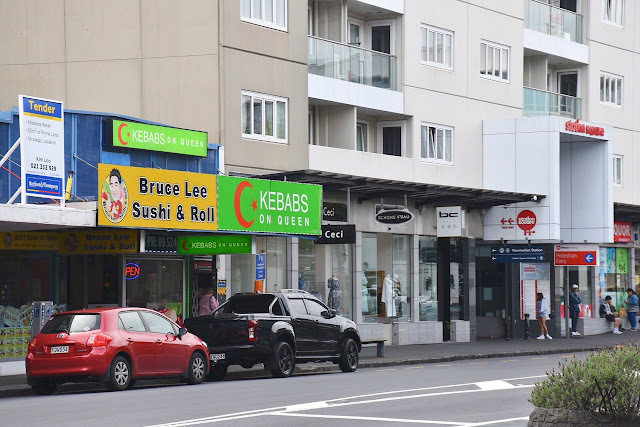 We checked into Quest Newmarket Service Apartment and went straight to Bruce Lee Sushi and Roll for lunch. It’s a small sushi joint but plenty of customers order here either for dine-in, take-away, or for pick-up. We boarded a train going to Auckland Central hoping to do a bit of shopping at T Galleria DFS, but found nothing interesting (seriously, Duty Free Philippines is way better). 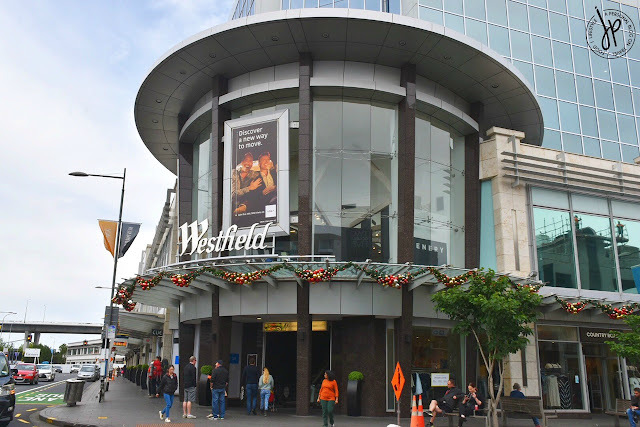 We ended up buying drinks, dinner, and second round of chocolate shopping at Countdown, a supermarket in Auckland CBD. At 5:30 PM, we were already on our way back to our apartment. As early as 6:30 AM, our tour guide picked us up at our apartment for our Hobbiton™ Movie Set Tour! I’m not a die-hard fan of LOTR or The Hobbit, but I watched the LOTR Trilogy in cinemas and reruns in HBO. It was raining so hard in the morning and I was concerned not being able to enjoy the tour out in the field. 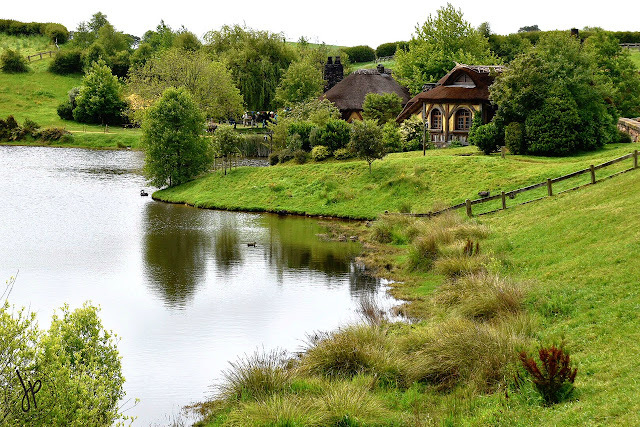 But as soon as we arrived at Hobbiton, rain became drizzle slowly ending at every step, which left the The Shire with the most luscious greens and picturesque view! I took so many photos of The Shire and every part of it was fantastic! Our tour guide gave us inside scoop of how the Alexander Farm became the location for The Shire and how the Orcs were cast. We were back to Auckland at 2:30 PM and we took advantage of our free time to rest and do some laundry. We left our apartment at 6:00 AM to go to the bus terminal leading us to our full day tour at Waitomo and Rotorua. I couldn’t remember how far it was, but from Auckland, going to Waitomo was about 2 to 2.5 hours drive. We went to Waitomo Glowworm Caves to see, well the glow worms, but it wasn’t the best to be honest. Good thing the packed lunch after this 45-minute tour was superb. 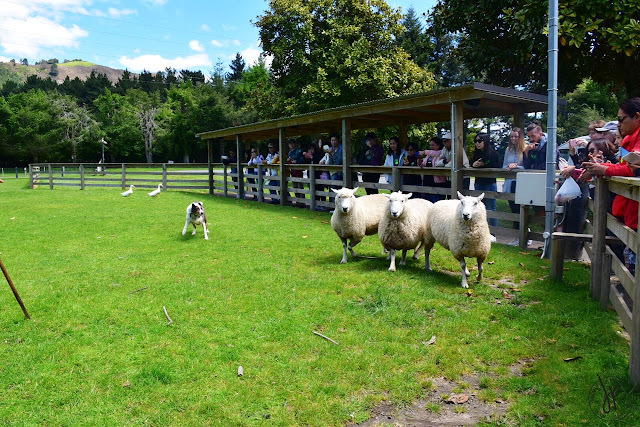 The next destination was the Agrodome Farm in Rotorua where we watched how a sheep’s fleece is being sheared. It was also fun to watch a short sheep dog walking (chasing more of!) with just a few whistles. We also explored the farm to see different types of cows, goats, and ostrich, and we got a chance to feed some sheep! We proceeded to Te Puia for a Maori cultural song and dance which I found endearing and entertaining. 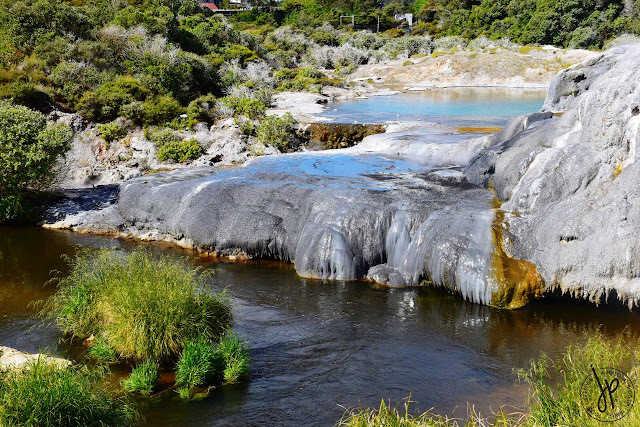 Next to the cultural venue is the Whakarewarewa Thermal Reserve where the Pohutu Geyser was located. Near the geyser are hot bubbling mud pools which the Maori used since the beginning as a medicinal source for any type of skin diseases. 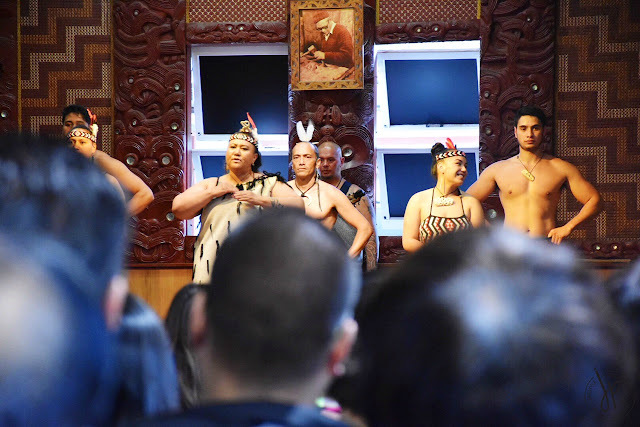 Our trip to Te Puia and Rotorua was facilitated by Maoris so we felt honored to learn about their culture and beginnings. When we got back to Auckland, it was already past 8:00 PM so we hunted down for pastry shops in Newmarket. Unfortunately we couldn’t find one near our apartment so we ended up buying tiramisu at Countdown. Woke up early again to leave the apartment at 6:00 AM in time for our trip to Bay of Islands. It was a long coach ride going to Paihia, a place in North Island, New Zealand. We were on the road for about 4 hours going there. Before getting on the cruise, we stopped by Waitangi which is the historic site for the treaty signed between the Maori tribe and British Empire in 1840. According to Wikipedia, New Zealand became a British colony by signing this treaty, but our Maori tour guide firmly believed that they are free people, for their ways and culture were left untouched. After Waitangi, we proceeded to the bay area for our cruise. 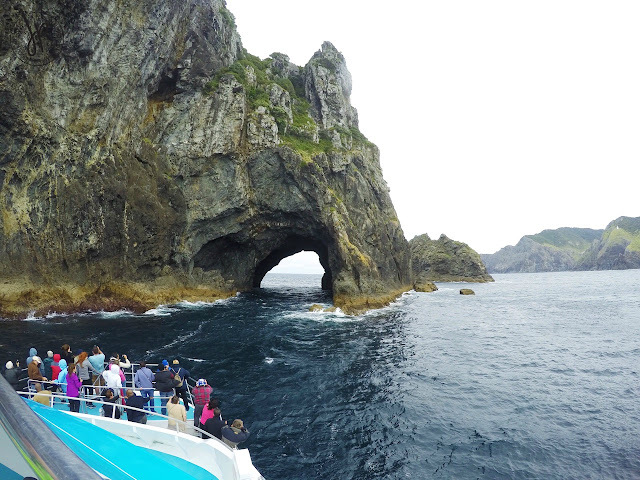 It’s a three-hour cruise aboard a catamaran that lead us to the vast Bay of Islands until Cape Brett Peninsula. I particularly enjoyed going through Hole in the Rock and watching big dolphins swim in the middle of our cruise. By 8:30 PM we were back in Auckland and we celebrated my mother’s 60th birthday at a Chinese restaurant near our apartment. We finally had a restful night as we didn’t need to wake up early on our last day. After packing our luggage for our afternoon flight, we checked out at Quest Newmarket in the morning and strolled around the vicinity of Newmarket. We didn’t get too far, but there were a lot of familiar shops such as Nike, Adidas, Footlocker, Kiehl's, Benefit Cosmetics, and a MAC counter inside a beauty store. The rest are New Zealand’s outdoor apparel companies such as Macpac and Kathmandu. We mostly spent our time in the day at Look Sharp – a party supplies, home decor, souvenir, and costumes store. They have a wide range of wigs and costumes for adults and themed party supplies for every occasion (bridal party, 60th birthday, baby shower, etc.). They have plenty of Christmas decors and gift supplies, too. I wanted to hoard every cutesy item I see, but I only got myself three packs of holiday gift tags. By lunchtime, we headed to Auckland Airport for our journey back home. After 26.5 hours of total travel coming back to Manila, my body clock hasn’t adjusted yet to GMT+8 time zone, so I’m mostly asleep in random times of the day. Thanks to Duty Free Philippines’ food court, I finally devoured overpriced Pork Sinigang, Papaitan, and rice after a long journey. 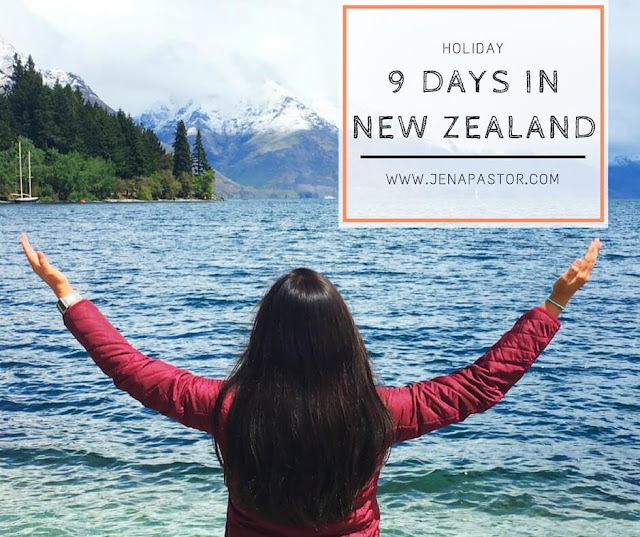 Will I go back to New Zealand? YES. Absolutely yes. I love Queenstown and I’m hoping to do more nature adventures there before my visa expires. Stay tuned for more of my NZ trip as I update my blog. Kia Ora!